Maryam, a rebel leader in an archaic world governed by ruthless religion, is set to prove that the god hovering in the sky is a lie. But she is stopped by a holy warrior that turns out to be her lost father. Soon their lives change as they are about to find out a secret only a god can keep. 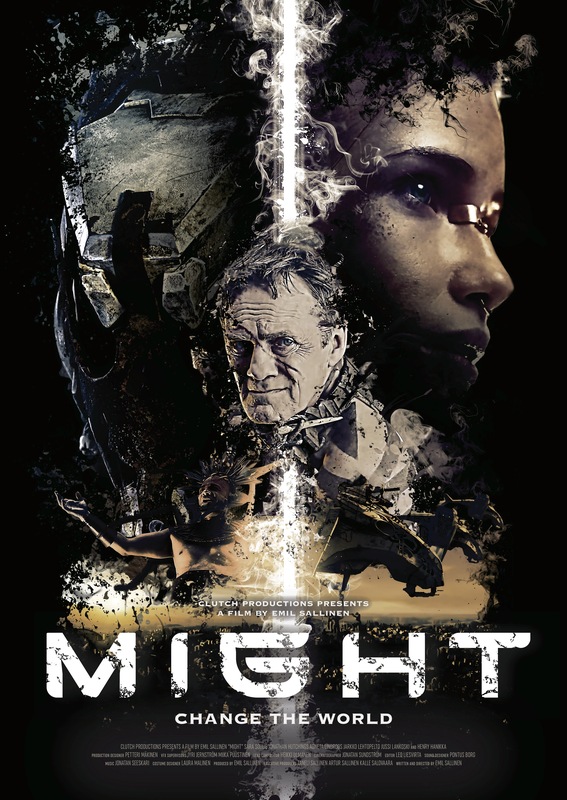 Might is a VFX driven science fiction film produced in Finland by Clutch Productions. It presents two different characters who are forced to encounter two different worlds. One world is totally fictional and created specifically for the film, while the other one is a bit more familiar. The film comments modern phenomena, such as consumerism and materialism. It also studies religion and how dangerous and mighty a fundamentalist idea can be when powered by technological supremacy. The film encourages to question the reality around you that is presented as a truth. There is always an alternative, and if you stay true to that, then you just might change the world. about past. and about its secrets. about religion. and about truth. one of stories who propose a new-old perspective about the source of power. about appearances and the return of old persons . and, sure, about the limits of knowledge for preserve the magic using impressive shows. nothing new, at first sigh, in this film. the sacrifices of Maya civilizations, the rebellious young woman looking for the proofs necessaries to change a not fair reality, the meet changing everything. the difference - maybe the tone. and the cultural references who, more than bricks, are good pieces for a coherent story about courage and illusion as veils of reality.